It’s often said that some of the biggest business deals take place on the golf course, as opposed to the board room. 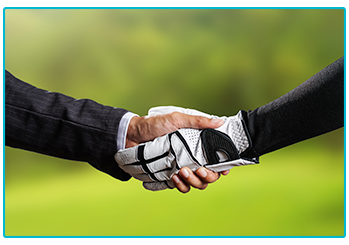 Getting out of the formal atmosphere of an office and onto the course could be the perfect way to get to know a potential or existing client and do some business! 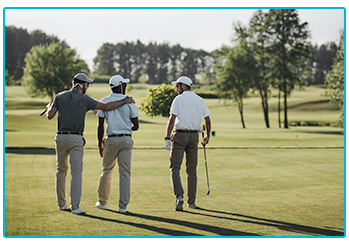 At The Insurance Emporium, we want you to get the most out of your passion for golf, that’s why we put together this guide to networking on the golf course! Do you even golf, bro? It may seem obvious but if you don’t know how to play golf or have any interest then it might not be the place to do your business! If you can’t avoid a round, then take some time to learn the game and the rules before heading out! Networking on the green isn’t all about business. It might be worth keeping things casual and engaging in some personal conversation. Just because you’re there on business doesn’t mean that things have to be formal! Following on from the last point, your golfing partner might not want the hard sell putting on them from the car park to the 18th hole! Networking is about building relationships and not selling at every opportunity. You’re on the golf course, not Wall Street! We all know that golf can be a frustrating game but you might want to try and keep a lid on your emotions. You could do more harm than good if you end up turning the air blue after a missed putt! You probably wouldn’t want to play sport again with someone who cheats, never mind do business with them! No matter how much it stings to lose, don’t give in to that urge to move yourself up the fairway! Your character is being judged! So you think you were once good enough to earn a spot on the PGA tour? Good for you, just remember that you are trying to make an impression! Launching into a celebratory Jürgen Klinsmann-esque swan-dive across the green following a birdie probably won’t impress anyone! Golf is a sport that is participated in by people all over the world. Try to have fun with it and enjoy yourself. If you’re relaxed, then your golf partner might be too and that could be a good thing for your business! If you’ve invited a client along for 18 holes, don’t watch them get their wallet out and pay for themselves! Remember that they’re your guest and nobody wants to do business with a cheapskate! After a fun round of golf with plenty of light chat, you could find yourselves in the 19th hole. Follow your client’s lead and only drink alcohol if they do. Nobody wants to watch you knock back the pints whilst they sip a coffee! Heading to the golf course could be a fun and informal way to do business. 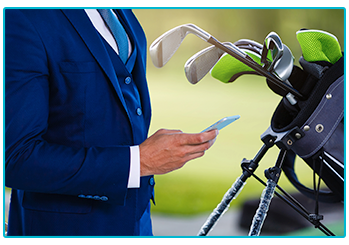 If you find yourself heading down the fairway to network, then you might want to get some Golf Insurance in place. At The Insurance Emporium, our new Golf Insurance policies include a 20% Introductory Discount* with a range of Elective Benefits to choose from such as Extended Worldwide Cover. Swing by The Insurance Emporium to find out more!